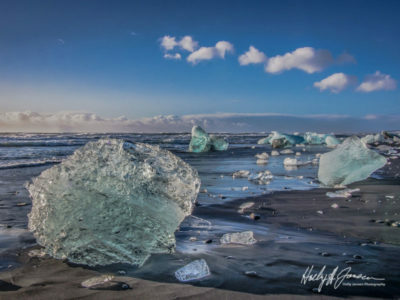 As we were standing on Diamond Beach in South Coast Iceland, we were surrounded by surreal looking blocks of ice the size of small cars that had calved off the nearby glacier. 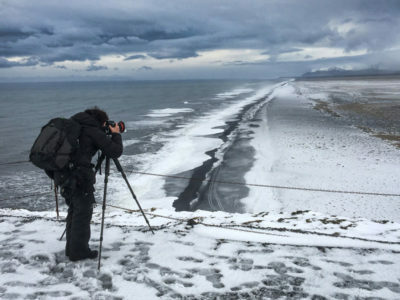 Our Iceland photography workshop group was giddy with the experience of the wind, the waves and the ice crashing up on the beach. It wasn’t just about photos though. The looks on their faces said it all.We let them have some time to experience the “wow” and started helping them set up to take photographs that would immortalize this trip for their lifetimes. As workshop leaders, it is so meaningful for us to be able to witness a transformation from snapshot takers into savvy photographic adventurers and guide them through this process. 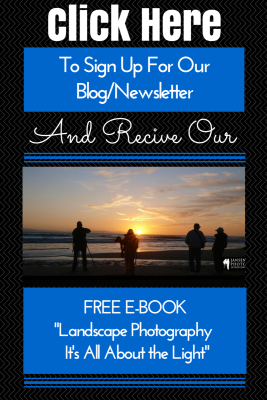 We get to share their excitement and watch their photography skills grow. As with many of our trips they formed a tight bond and created friendships for life. And, the trip of a lifetime has become just the beginning as they plan for more photo adventures with us in the future. This is just a small taste of what it’s like to travel in Iceland on one of our small group photography adventures. Every trip is a special experience, so be ready to expect something different. 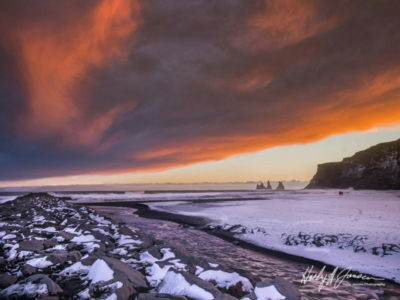 One evening we experienced a spectacular sunset on the black sand beach in the charming town of Vik. As the clouds moved in, we weren’t certain that we were going to see any changing color in the sky that would create a memorable landscape image. Slowly, the clouds started to be tinged with orange, and then the color spread throughout the sky and exploded in large bands of gold and copper. This was one of the most spectacular sunsets I’ve ever experienced. Many people would walk away from a scene like this too early without realizing that the clouds may turn a unique color as the sun sets. One of our workshop participants was confused as to why we were standing around staring at the horizon. But then, it was clear what we were hoping for, this magnificent color from the sky. Our clients were surprised by the changes in the weather and the intensity of the landscape in Iceland. We were so lucky to be able to guide our group through the process of discovering Iceland safely through the eyes of a photographer. Everyone should be able to experience Iceland the way we do. It is a special and unique way to travel with small groups of adventurous creative, like-minded individuals. We guide our groups to amazing natural locations away from the majority of tourists. It’s the only way to travel! 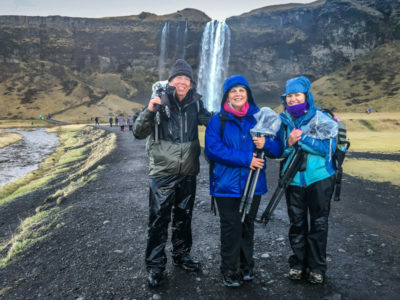 We were standing on the edge of the waterfall waiting to get the shot at Seljalandsfoss. The water from the falls was raining down upon us as we set up our shot on the side of the hill in the very wet conditions. We had to continually wipe our lens to avoid water spots which were essential to even think about getting a shot here. We had just a moment of afternoon light as it hit the falls, and then it was gone. What an amazing moment and memory. During this trip, our clients were expanding their comfort and creative zones in more ways than they expected. They were starting to understand that it was important to step out of their comfort zones in safe and creative ways to create amazing photographs. It’s not the type of photography where you can snap a shot with your cell phone as you are driving by a scene which seems to be a popular method of photography on the roads in the United States. You get immersed in the experience and it creates a compelling new view of the world and your art. In the evening, we would sit around and talk about our favorite photos and edit them in Lightroom, learning a thing or two about photo editing and sharing our experiences. It was a nice end to the day. This trip was about the photography, but also about the people who attended, their experience, the unique relationships they created and the love of a beautiful country, Iceland. It was fun to see their posts on Facebook and the different perspectives of this amazing country. We’re changing the way people look at travel and adventure with our workshops. They return more courageous and confident as well as creating lasting friendships. They’re doing much more than they imagined they could do and are enjoying life by pushing outside of their creativity and comfort zone. This kind of trip not only gives you an adventure of a lifetime, and it also helps you to increase your knowledge of photography and creativity. Basically, it helps you step out of your comfort zone. 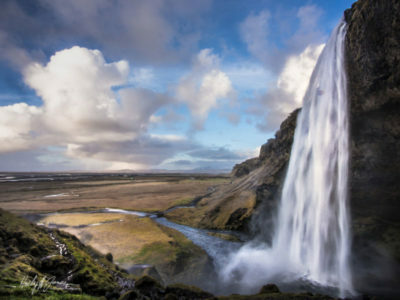 How many people who live in the city or typical suburban surroundings get to experience the intense thrill of the landscape, the weather, the creative opportunities and the people of Iceland? Our trips are not only about photography but also about the adventure. 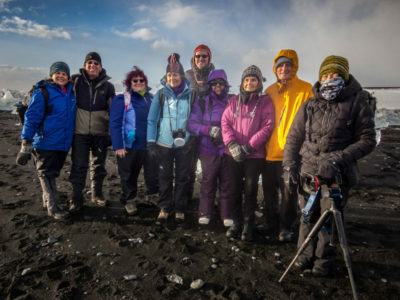 At Jansen Photo Expeditions, we lead small group photography tours in Iceland with a native Icelander as our partner on the ground. We never travel with more than 8 clients and offer a small boutique experience on our photographic workshops to Iceland. We see Iceland through the eyes of a native away from the hotels and hustle of the tourist trade. I wouldn’t recommend seeing Iceland any other way. We’ve been on our own there, and it’s the experience in a small group with a native guide that makes it so special. Join us February 2018 when we return for our Iceland photography workshop to the West Fjords and Northern areas of Iceland.